Police in New Hampshire are investigating reports of a sexual assault at a prep school with a history of sexual misconduct allegations. Concord police say they opened an investigation at St. Paul's School on June 1 after a female student told a staff member she had been assaulted by another student. The Concord Monitor reports the police investigation remains open as of Wednesday. 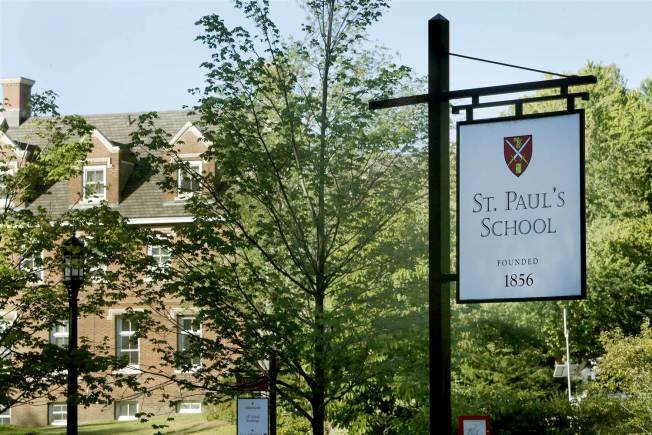 Police say they received a call from the dean of students at St. Paul's who reported the assault after the female student informed the staff member. The school and police have a memorandum of understanding, which states certain crimes, like sexual assault, must be reported to local law enforcement within 48 hours. In 2015, St. Paul's graduate Owen Labrie was convicted of misdemeanor sexual assault.